There was quite a bit going on in 1907: Houdini caused a sensation when he escaped from his chains underwater, the first taxi cab appeared in New York and UPS (United Parcel Services) started up in Seattle. But closer to home, Eatonville residents were cheering on their baseball team. 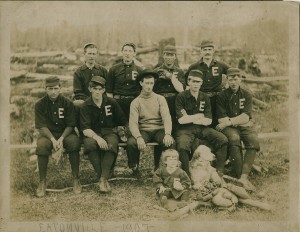 The little guy in the front was the team’s mascot — Morgan Williams. 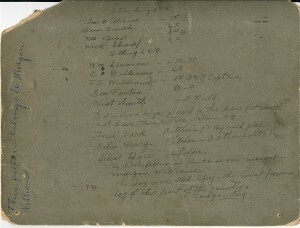 Names of the team follow. 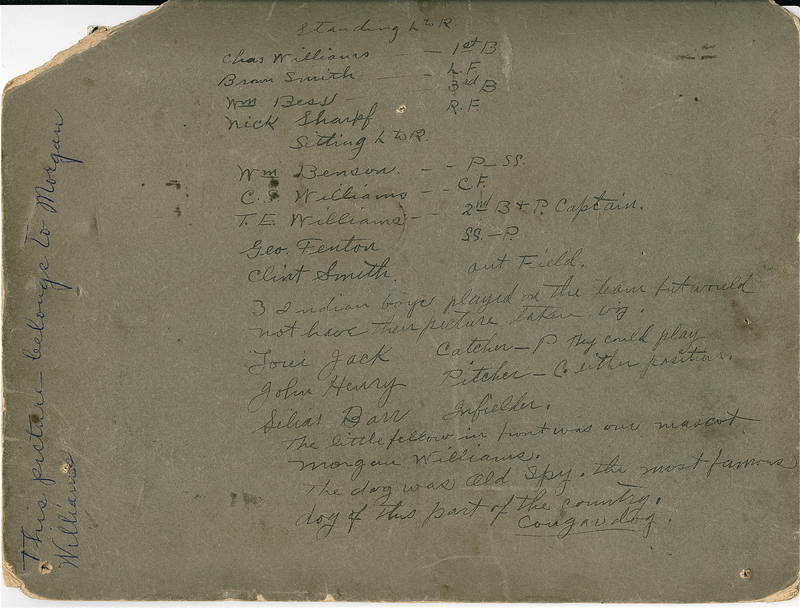 There are names of Native Americans listed but none in the picture.They were actively recrutied by TC Van Eaton who’s passion was baseball.They played a key roll in a high stakes game between Eatonville & Kapowsin. There is a photo of this game & that story will be told when the photo comes on line.